Catechism occupies a significant place in the life of our Church, and the leadership of the Bishops must be dedicated to the teaching of God's Word. That is why the role of Bishops is enormous, because everyone needs to understand the Word of the Creator. This was emphasized in his report "The Catechism of the UGCC Christ is our Pascha in the life of the Church: a reception in our Church" by Bishop Peter (Stasyuk), the Ruling Bishop of the Melbourne Diocese (Australia) and the Head of the Patriarchal Catechetical Commission, on Tuesday, September 4, within the framework of the second session of the Synod of Bishops of the UGCC in Lviv-Bryukhovychi. This day the Synod is devoted to the consideration of the main theme: "God's Word and Catechism." "The question that we must keep up with is whether this Catechism best describes the Ukrainian Greek Catholic Church as she has developed throughout history. Are we the ones as Catechism describes? I think that most of us would say that the Catechism describes us as we are now," said Bishop Petro. According to him, Catechism is a means of proclaiming the Word of God today and in the near future. According to him, the very existence of our Church as a world entity depends on this. "The most important thing now is that all the leaders of our Church understand the importance of the place of our Catechism in the life of our Church. Our leaders must be entirely devoted to the teaching of God's Word, and especially - as it is expressed in the texts of the Scriptures ... The role of the Bishops in this process is decisive. Each of us must read and know the Scriptures and realize that the Word of God (Scripture) is addressed to each of us personally. This is the first priority! "- emphasized the speaker. He added: "A month later, I sent a brief questionnaire to each Bishop regarding the perception of our Catechism in the local dioceses. I received 18 responses, about half of the letters I sent. Interestingly, those who did not send answers are those places that do not have eparchial catechetical councils, catechetical progress, or even little attention to the teaching role of the Bishop and the Church. It was these dioceses that did not fill out the questionnaire and did not send them. 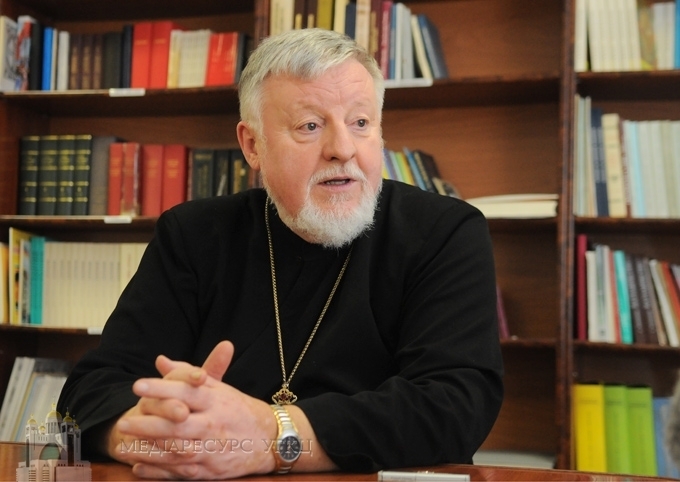 Every eparchy, including my own, has difficulties in fulfilling personal obligations," shared the Head of the Patriarchal Catechetical Commission. Bishop Peter (Stasyuk) recalled that the Catechism is divided into three parts: "The liturgical part, which describes the prayer and liturgical life, is very popular. It is given the most attention. The third part, which is important, competes with the Roman Catholic sources. So far, few of our faithful fully understand the idea of ​​our Eastern Catholic moral theology. It is necessary to have some theological preparation to appreciate the Catechism. The first part, which in fact is based on the "Symbol of Faith", is the most theological; it is often described as difficult to understand." As Bishop Petro says, the Catechism "Christ is our Pascha" is perceived quite well in our Church, and even Roman Catholics around the world also welcome this publication. In addition, he shared that there is a proposal for a simpler version of our Catechism - for young children. "It is worth noting that we do not mean by this "Catechism for Youth" (the work on which is currently ongoing), but something at the level of secondary school." "Today, many are asking about the second edition of our Catechism. In fact, our commission has already received suggestions on how to improve it. I realize that in the future, this should be done. However, we have not yet grasped the treasure that is contained in our present Catechism," said Bishop Petro at the end. We would like to recall you that the Catechism "Christ is our Pascha" was released in 2011. Since then, 120 thousand copies have been published in Ukrainian, 50 thousand in Russian, about 12 thousand in English, and 5 thousand in Portuguese. Soon Catechism will be published in Spanish, Polish, French and Italian.